How do I create a site in Sakai? 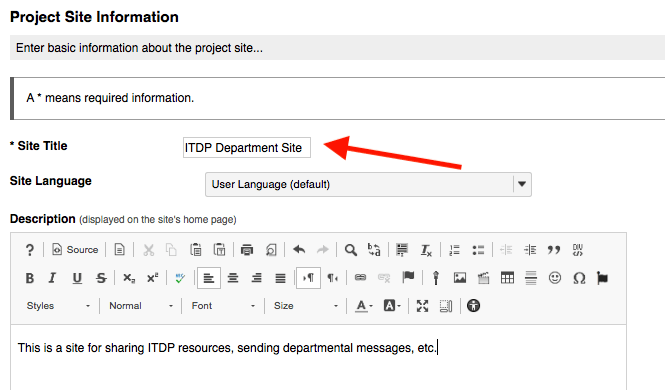 Click on the waffle icon in the top right corner of the screen to open the Sakai Sites drawer. Once the drawer is open, click on “Create New Site”. 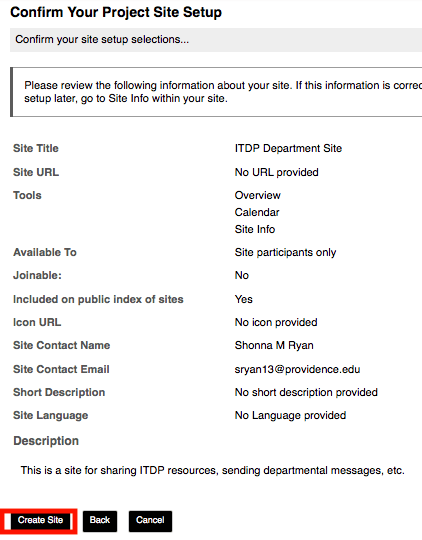 Select “Project Site” and click “Continue”. In the field, type in the Site Title. You can also include a description if you wish. Scroll down and click, “Continue”. 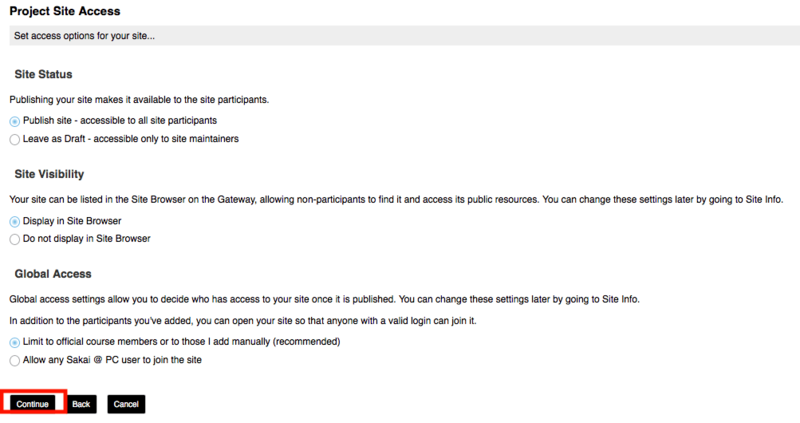 Select the tools you would like to have included in the Sakai Site. When you are done, scroll down and click “Continue”. Typically the default settings for Site Status, Site Visibility, and Global Access are going to be the correct settings, so leave as is and click “Continue”. I final review screen will appear. 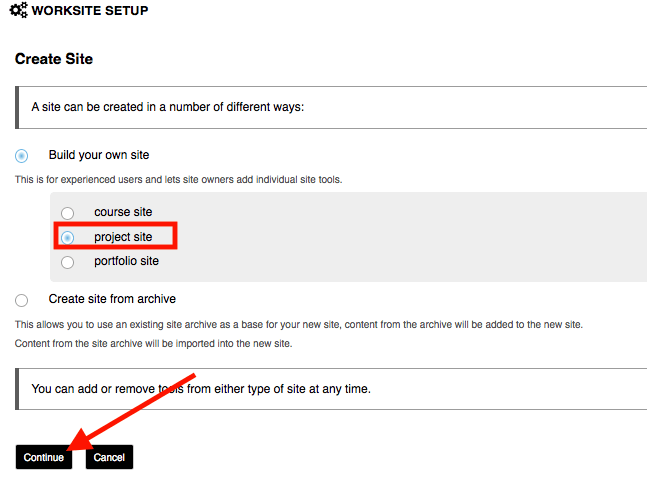 Click “Create Site” and the site will now appear in the “Projects” section under “Sites”. How do I add participants to my Sakai Course? For instructions on how to add participants to the Sakai course you created, click here.